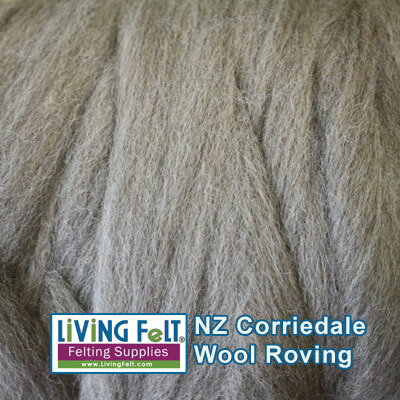 Undyed NZ Corriedale - lovely medium brown / gray heathered. Note: This color will vary from silvery gray brown to medium brown. NOTE: This is undyed, natural corriedale. It is beautiful. Color will vary from medium brownish silver, to medium brown. Picture shown is for example only. If you would like to know which way the current color is, please call us.